Anyone who has pushed themselves through an intense workout will be familiar with “feeling the burn” — that sensation of fatigue and pain that sets in when you subject your muscles to lifting heavy loads repeatedly or sprinting all-out. This burning sensation is associated with a buildup of acid in the muscles during intense exercise, and lactic acid has long been thought to be the culprit in that acid buildup, known as acidosis. Lactic acid is a byproduct of anaerobic metabolism, in which the body produces energy without using oxygen. Since the discovery of lactic acid, the popular notion has been that it is responsible for muscle fatigue and also tissue damage induced by the lactic acid following an intense workout. In fact, that was the generally accepted explanation even in the scientific community until the 1970s. But what does science say about whether lactic acid is indeed the culprit in muscle fatigue and what’s known as delayed onset muscle soreness? What Happens During Anaerobic Exercise? When the body taps into anaerobic metabolism, it uses the body’s supply of stored sugars, known as glycogen, without the need for oxygen. One of the byproducts of burning glycogen — a process known as glycolysis — is lactic acid. It was German physician Otto Meyerhof who showed, using frog legs in an air-tight jar, that lactic acid was formed from muscle glycogen in the absence of oxygen. This research eventually led to him, along with another pioneer in the field, British physiologist Archibald Hill, receiving the Nobel Prize for Physiology or Medicine in 1922. The experiments using frog legs showed that using electric pulses to make the legs contract produced lactic acid in the muscles, and that they stopped contracting after repeated stimulations — leading to the theory that lactic acid was responsible for muscle fatigue. But more modern research has shown that their findings apply to detached amphibian muscle but not to live mammals, including humans. Research has also determined that lactic acid, also known as lactate, is actually an important fuel source for muscles and that the accumulation of lactate does not inhibit the ability of skeletal muscles to contract. Furthermore, the notion that lactic acid is responsible for delayed onset muscle soreness, or DOMS, was debunked in the 1980s. 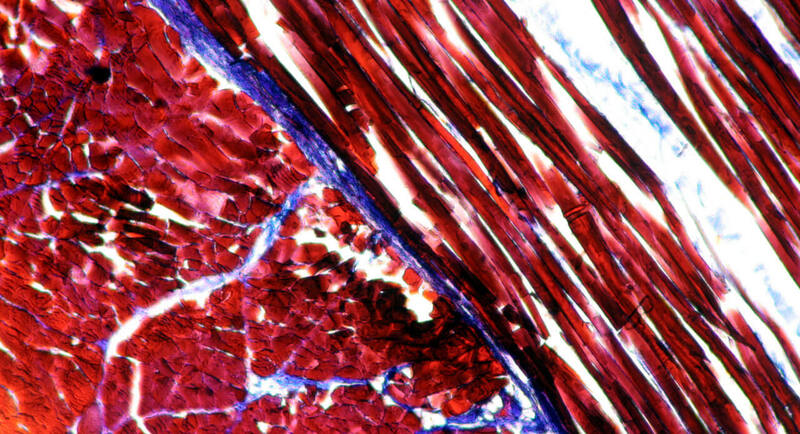 Research suggests the soreness is a result of a cascade of physiological effects in response to microscopic trauma sustained during intense exercise. That cascade includes inflammation in the muscles in response to the microtrauma. As with many fields of science, the research on lactic acid and its link to muscle fatigue has evolved over the last century. And it indicates that lactic acid isn’t the culprit it was once thought to be when it comes to muscle fatigue.